Today was very busy, I went to a new auction. Cherry came and viewed it with me and as she had to go off and be busy with her Floriama Exhibition, she trusted me to bid on her lots for her. I expect she will blog about them later. 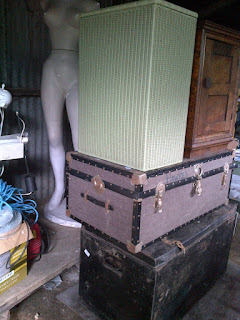 Trunksbottom one has a fab copper lining, Lloyd Loom Linen box, Little cupboard. The cupboard is so sweet, its been made up from old items of furniture. The back and door are walnut panels, the sides are pine, with a faux walnut finish, the base is a molding from the walnut item and the top and base are stained pine. It makes you think that some person must have thought this up so they had a cupboard. 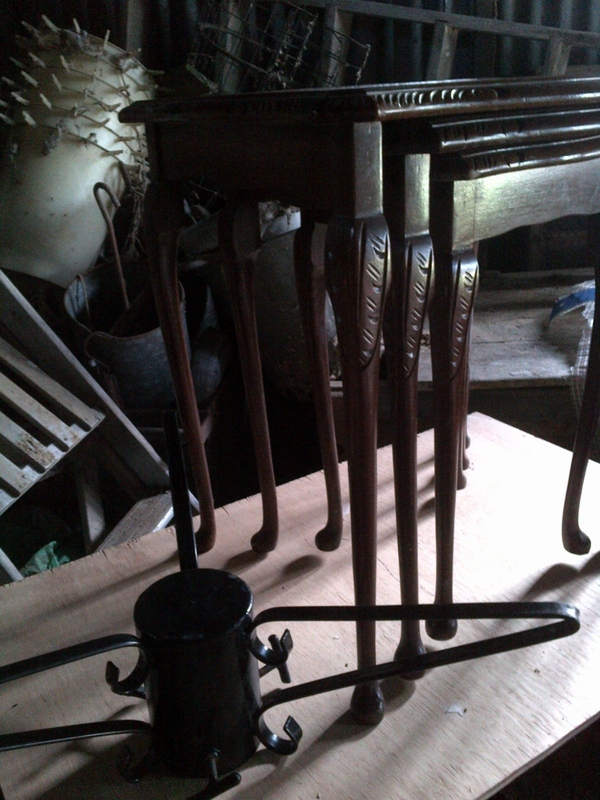 Nice nest of mahogany leather topped tables and a real Christmas Tree holder. 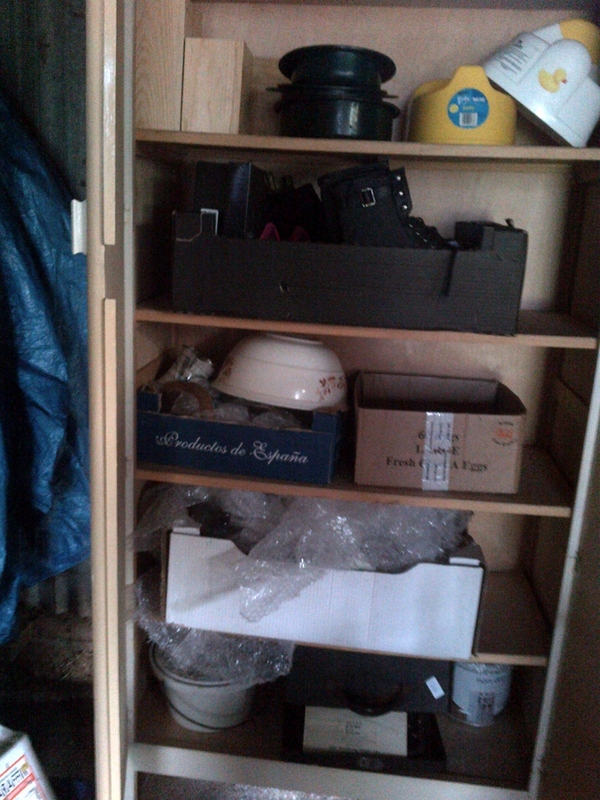 Now I did not intend to buy all this cupboard full, but the auctioneer lumped it in with the next lot, which I did want! So I am now the proud owner of a lot of kitchenalia, china, glass and two potties!!! 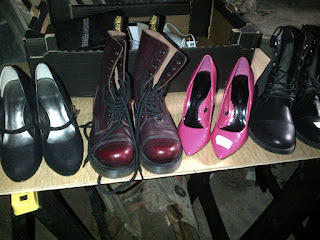 Still it will all sell at the next boot fair. Bottom shelf is an old Underwood Typewriter and the stoneware potty from a commode. A mixed family of shoes, 2nd left brand new Doc Martens, two ankle breakers and a pair of size 7 ladies boots. I have to go back again tomorrow for the next car load and we filled Cherry's car up too. It was a good auction. Hi Linda Next time you must come!!! Cherry and I are like excited kids.